How can startups help the construction industry improve its productivity levels? 'Work smart, not hard' is a phrase often used at Virgin StartUp. But the latest stats show the UK’s output per hour is still around a quarter behind its neighbours France and Germany, meaning it takes British workers five days to produce what others achieve in four. However, construction company Colmore Tang Group, has a resource that’s massively underused in its industry, which it plans to embed to improve output – startups. 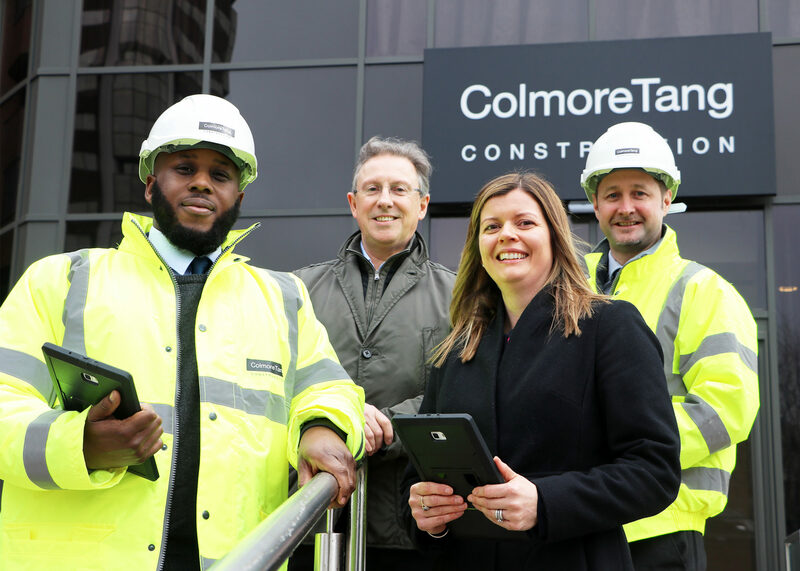 Here Andy Robinson, CEO of Colmore Tang Group explains how they’re working with Virgin StartUp to attract the top tech talent to the world of construction. Productivity in the UK has long been a cause for concern among business leaders and economists. Government statistics show that in 2016, workers here were on average just over 16% less productive compared with other G7 countries. And although figures started to show signs of a slight improvement at the end of 2017, the UK continues to lag behind other major economies. It’s important to distinguish between productivity and performance - productivity does not relate to how hard an individual employee is working; it is about what is produced and the resources used to achieve it. It’s about working smarter. Ask anyone in construction, however, and they will testify that compared to other sectors, this industry has a serious productivity gap at a global level, which implies there are specific issues within the sector as a whole. But what is holding back construction? There’s no silver bullet, of course, but innovation in technology is undoubtedly an area that could help to transform the sector. More than a third of construction projects in the UK overrun on time (40%) or budget (35%). There’s no doubt that technology can help to fill this void to improve productivity and it’s why we have joined forces with Virgin StartUp to launch ConstrucTech, an industry-first technology accelerator programme with a £10m innovation fund. Digital tools are key, but for them to work efficiently they have to be widely adopted because of the level of collaboration required on construction projects - from the simplest scheme to the most complex builds. Although technology cannot directly influence construction - due to the fact that the programme of build sequence requires significant manual input - it can and should be adapted so that it can work within a real-time context and offer a solution for both processes and products within the legal framework in which the industry operates. BIM (building information modelling) is already starting to have an impact within the construction sector, thanks to its ability to simplify construction projects. It optimises workflows, analyses how resources are used, enables managers to understand the construction and techniques, and provides the opportunity to introduce revisions relatively easy. The Government’s BIM Task Group estimated that if BIM is implemented successfully across the sector, it could help organisational processes to become up to 30% more efficient. There’s potential for it to change the face of the construction and yet it feels as if we are still in the infancy of the technological revolution for our sector. It’s clear that advanced technology within the construction industry could have a huge impact across the sector, from materials specialists to architects, designers, quantity surveyors and building site managers. So, when thinking about the synergy between traditional industry techniques and new practices, it’s crucial to ask: will it provide sustainable solutions to a problem? Will the quality across the project improve? How will it support health and safety managers? Will it provide good value for money? This is not just about building structures that people will use for work or to live in - it’s about safeguarding the future of the construction industry and making it fit for purpose. It’s exciting to think about the new ideas being formed that promise to transform the sector: from the design side right through to the management end. We are, after all, building for the 21st century. Colmore Tang has joined forces with Virgin StartUp to launch ConstrucTech, a construction industry-first technology accelerator programme. The £10m innovation fund is available to companies from around the world that can successfully show how their innovation and technology could improve the sector’s productivity, sustainability and skills issues.